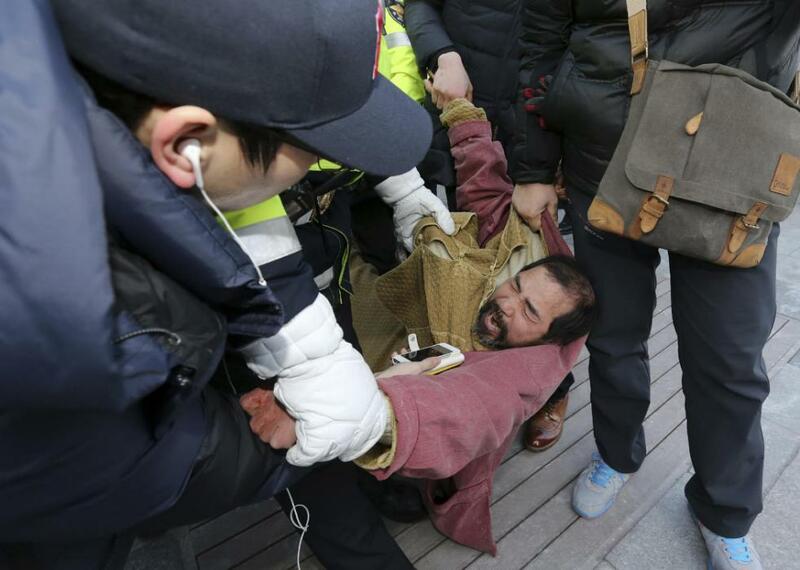 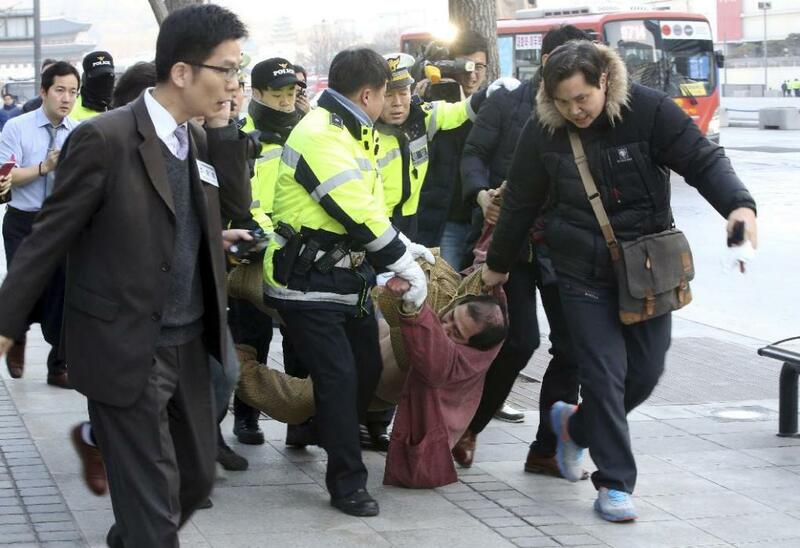 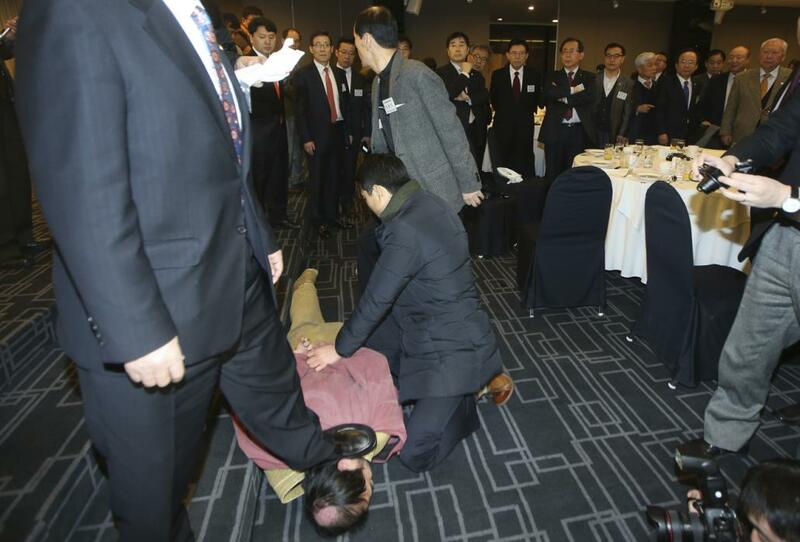 Security personnel detain an unidentified assailant who attacked the U.S. ambassador to South Korea Mark Lippert at a public forum, in central Seoul March 5, 2015. 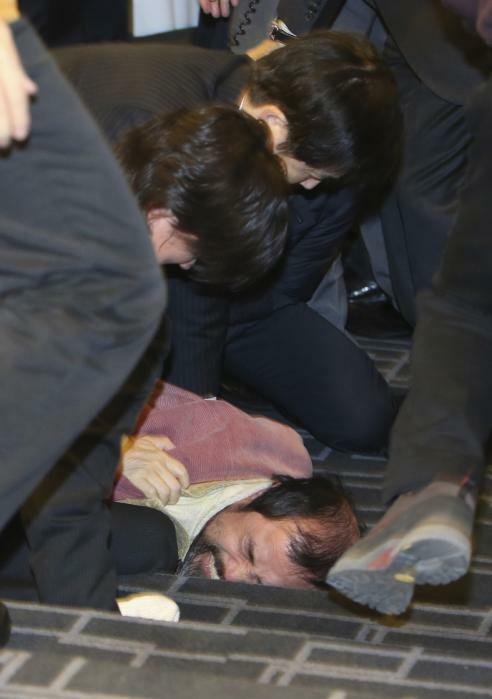 The U.S. ambassador to South Korea was slashed in the face by an unidentified assailant at a public forum in the capital early on Thursday, police and a witness said. 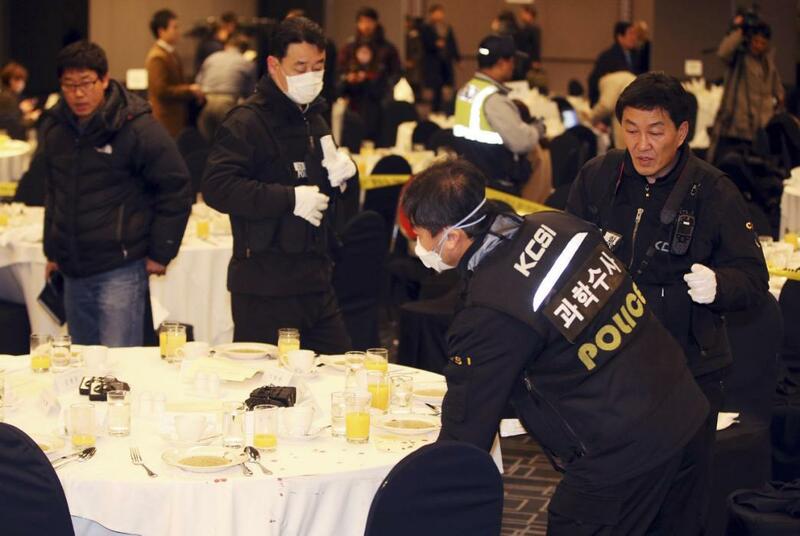 Ambassador Mark Lippert was attending a breakfast forum in central Seoul when a man attacked him, slashing him in the face, a witness at the event told media sources.